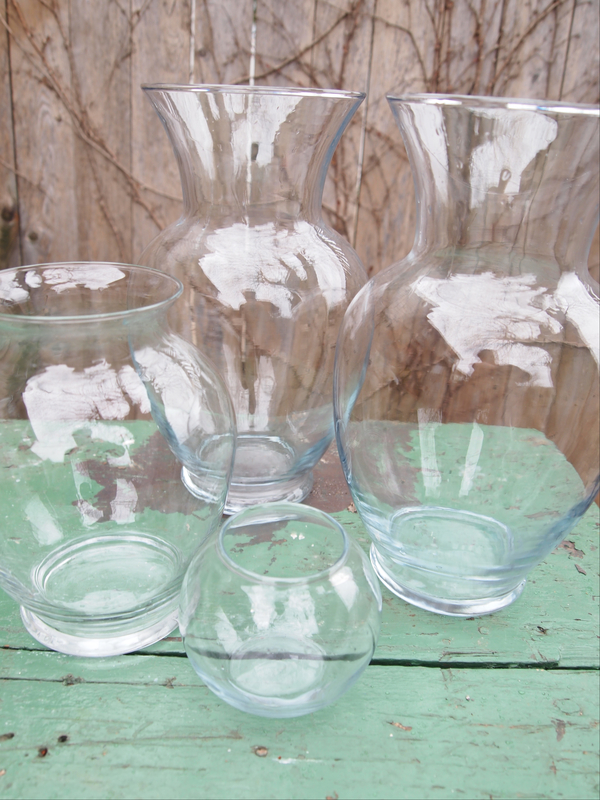 Who doesn’t have a generous supply of florist vases tucked away? Some of my collection have been given to me, others I’ve rescued from the trash. 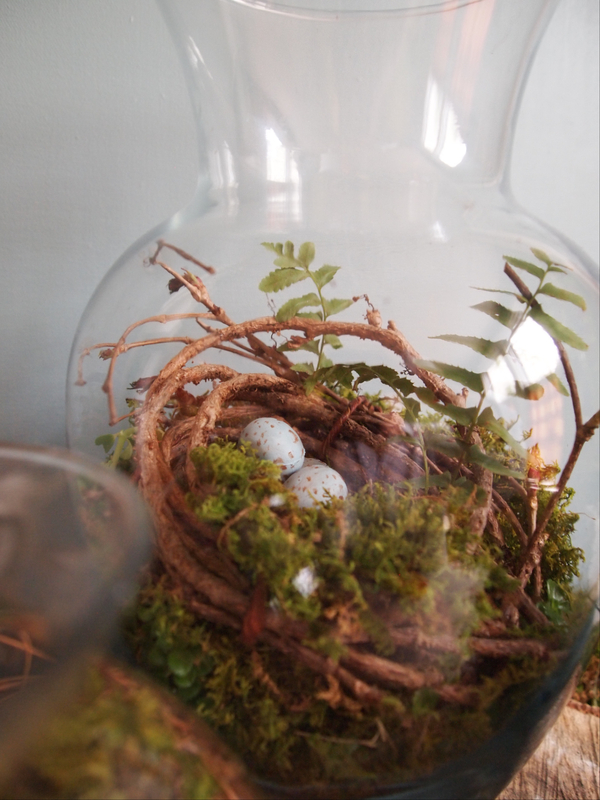 My collection was the inspiration for these perfect woodland folly centerpieces. Armed with only the bounty of my back yard (which by the way is the size of a postage stamp) I created these centerpieces. They also make a unique and creative way to number tables at a wedding or special event. They are super easy to make. Simply place a one inch layer of stones in the bottom or your container then add about another inch of soil. Now the fun part! 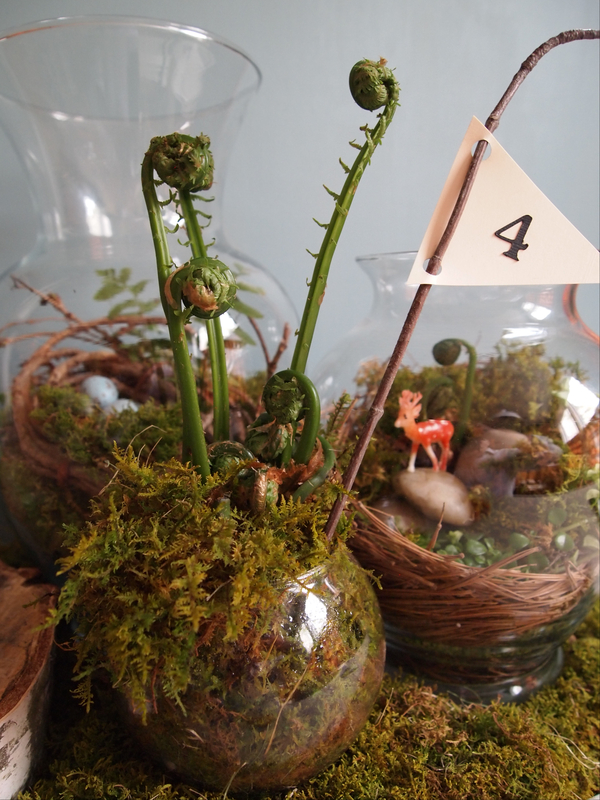 Using your imagination, start placing your special back yard finds into the vases like pines, moss, twigs, ferns, tiny clumps of grass. 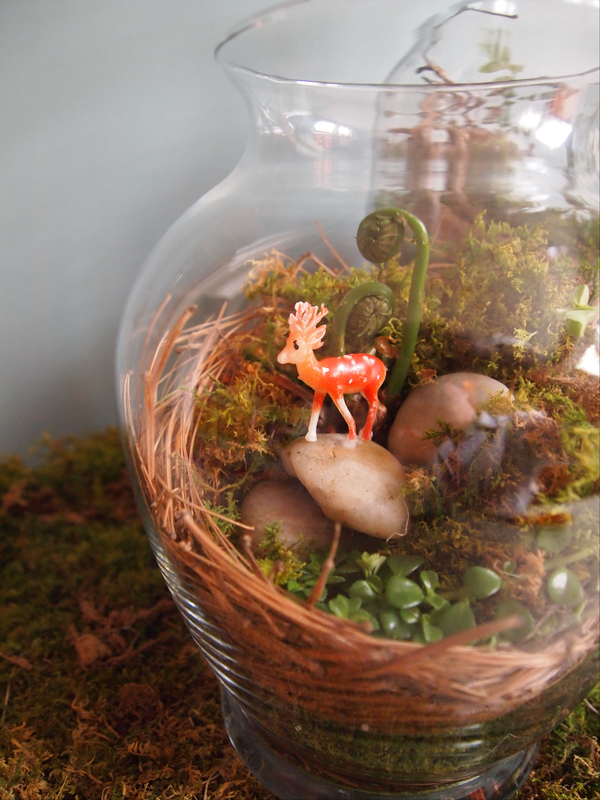 Don’t be afraid to add extra little surprises like eggs or this little deer like I did. If you don’t have access to these items, visit your local nursery of craft store. Water with a moderate amount of water and don’t place it in direct sunlight. Enjoy, have fun and happy crafting!